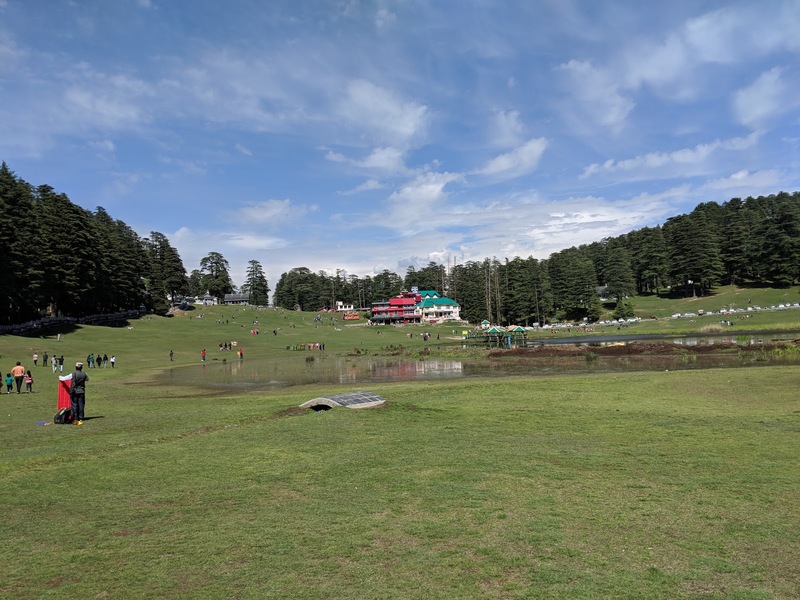 The day was for an excursion to Khajjiar. When we were about to leave, we realized that we were low on fuel and there were no petrol stations in Dalhousie. So we had to go back to Banikhet to top up the tank. 11:05 AM We left the hotel, 11:26 AM we reached Banikhet and then left for Khajjiar. We arrived in Khajjiar Lake at 1:10PM. The place was full of cars and it took some time and effort to find parking.